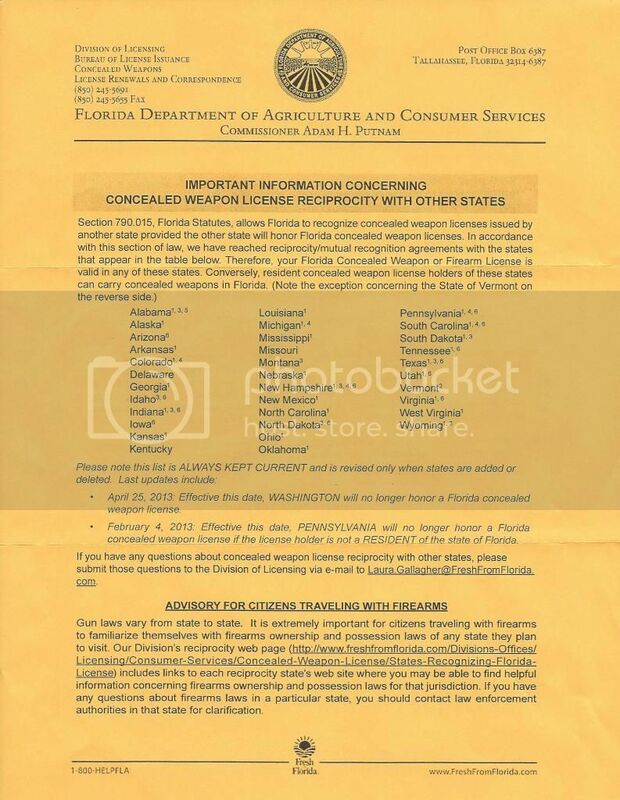 Who has a Concealed Handgun Permit? My wife and I were among the first in Texas to get our handgun permits. Ten plus years later -- the Texas program has been a great success. Since it became easy for honest and law abiding civilians to obtain a concealed handgun permit -- and a crime to carry a concealed handgun without one -- violent crimes, and crimes committed with a gun have decreased dramatically in Texas. While the Liberals predicted that Texas would become a land of Vigilantes acting like Charles Bronson, there have been zero reports of anything like that happening. However, carjackings and door kickins have virtually gone away because good chance the victim may be armed. Fewer criminals are armed, because of the longer sentences for being caught with a gun without a permit -- and the inability for criminals, drunks, and druggies getting a permit. If Liberals would honestly research the statistics of programs like the one in Texas -- they'd see that they're wrong, and that they could reduce the crime rates in New York, Washington DC, Chicago, and LA -- when honest people could protect themselves rather than only criminals being armed. I have had mine for almost five years now and Im coming up on the renewal mark. I just got my paper work to fill out. I was told its a 4-6 week wait and I will do it two months a head of time. I dont want to take chances on that. I feel its a great thing and totally support it. Just can not believe we dont have it in Wisconsin yet. 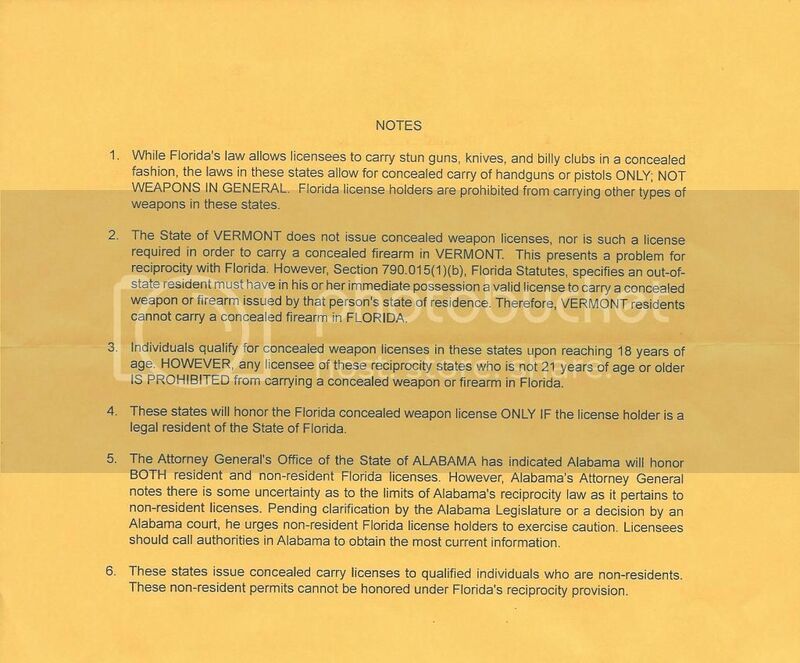 Everyone and their brother owns multipul guns, hunts, or collects them. I've been carrying concealed for the last 15-16 years. The laws in WV allows open carry but no loaded weapons in the vehicle, when you go to get in your vehicle and unload said weapon they where busting people for brandishing. I got mine at first just to avoid the hassle going out shooting but I pretty much carry something everywhere I go now. I plan on a home defense class when they are offered next. The class earns the concealed weapons permit. This also eliminates the hassle at gun shows when buying a gun. If Wisconsin had conceal carry permits I would get one. All law abidind citizens should be able to carry. Issue date on mine says a short 10 months ago. Should have had it much sooner. I have no excuse......except for lack of a carry gun, for now. The closest thing I have is a Ruger MkII. Not much for stopping power. So, I'm in the market. I'm looking for something better than 9mm ballistics, but without going to .45. (Not that I don't LOVE the .45 mind you.) I just want more capacity than most/all carry .45's offer. And I know the scoop on the whole capacity issue and don't mean to start any debates, it's simply my preference. I've looked at the .40's and 10mm's and they're still just a bit on the large size for a carry gun IMHO. So, looking at the ballistics of smaller rounds, I've found that the .38 super and the .357 Sig offer ballistics approaching that of the .40/10mm, while being a smaller package, offering higher capacity as well. .38 super, however, is a dwindling commodity, whereas the .357 Sig is more prevalent and popular these days. So I'll most likely be getting something in this caliber. All this is based on having just one carry gun at any given time. I know some carry two, three and even four, in various positions, but I personally don't think that's necessary given the way most confrontations play out. Usually, they're over in seconds. So, what are others' opinions of the .357 Sig? Have any of you shot/carried anything in this caliber? Did you like it? Why-why not? Anything I may have overlooked, caliber-wise, that may be better in the "ballistics:size/capacity" area? Again, I'm looking for something with better ballistics than the 9mm, but with decent capacity over the likes of the sweet .45acp. I have had a concealed weapons permit since first issued years ago, was one of first 100 issued in Jefferson County (Denver) CO. At that time for a small fee you could get Utah and New York State licenses also which covered 46 states in the lower 48. Have carried concealed almost every day since those early years. Only once was there a need to think about getting ready to go into the "Weaver Stance". But luck won out when the bar tender "cold cocking' the drunk with the knife with a full bottle of Jim Beam. What type of concealment weapon do you carry? I have carried a number of different ones over the years (think I use to read to damn many shooting magazine ads). 1911's in 45ACP, 9MM, 38 Super, Browning Hi-Powers, 9MM, 38 Super, 40 S&W, a number of .380ACP's -PPK's, Colt Mustangs, Brownings, etc. Then went to wheel guns with Colt's, Smith's, Charter Arms, etc. Finally settled on something small, light and easy to carry with a round at close range that tears the body tissue all to hell and walks throught out the system. You'll laugh but most situtations are within less than 15 feet, so my toy is a Smith & Wesson 351PD revolver in .22MAG with 8 shots. Has a 3 lb trigger pull with CT grips. Its loud with very mild recoil and shoots 2-3/4 inch groups rapid fire. Mr Sputnik. Glock offers it's either the model 22 or 23 that is a lightweight kinda compact carry auto in 40 S&W or 10 MM too. I had one for years when I first got my CCW permit about 12 years ago. Back then where I lived you had to declare what gun and caliber you would be sporting, AND it was even legal to carry a switch blade knife if the blade was under 4 1/2"!!!! Go figure!!! Now where I live does NOT require you declare gun and caliber, BUT, if you ever get checked, it damn sure better be registered to you! Most times if I'm gonna carry, I either sport my true Colt 1911 .45acp, or my 40 S&W Sig. The effort to fully vindicate the fundamental, individual right to carry a concealed handgun for self-defense took a major step forward on November 16, with House passage of H.R. 822, the “National Right-to-Carry Reciprocity Act of 2011.” The bill, sponsored by Reps. Cliff Stearns (R-Fla.) and Heath Shuler (D-N.C.), which has 245 cosponsors, was approved by an overwhelming bipartisan vote of 272-154. More importantly, this study will have no effect on the provisions of H.R. 822. Certainly it wouldn't force the states to use "biometric identifiers" on permits, an idea that so far exists only in the minds of these naysayers.